Containing flavonoids like rutin which strengthens capillary walls, butcher’s broom was historically used for circulatory system support. Saponins, another key ingredient of butcher’s broom also works to support the circulatory system. 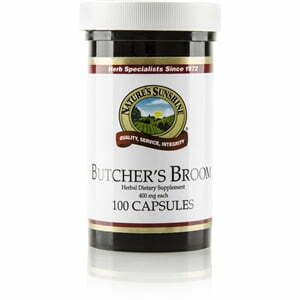 Each Nature’s Sunshine Butcher’s Broom 400 mg is comprised of the dried, powdered root of this nutrient-rich plant.